At netstudio we develop and promote sales-driven e-shops. Online stores developed by our team operate successfully thanks to their usability and functionality. The e-shop development and promotion solution provided by netstudio is one of the most integrated you can find in the world market of web development. Our well-coordinated team of in-house web experts is here to develop your e-shop ground up, kick-starting it with multiple functional systems proven in dozens of ecommerce websites. 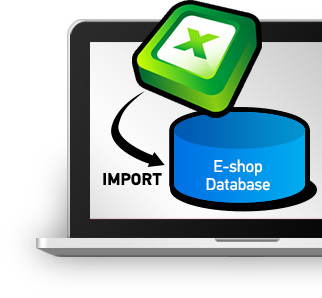 If you already have your products in Excel or another database, you will not need to upload them one by one to your e-shop. Import is automatic. Would you also like updating the products whenever needed from Excel? No problem, it can be done. FindasticTM is an impressively practical search tool. By multiple Ajax filters, it provides the user with the search results on their choices (material, color, price range etc.). For instance, the user may see with just 4 clicks the red leather strap women's watches ranging from 80 to 120 euros. Try using FindasticTM in one of our clients' e-shops. Voucher creation automation saves time and money. We have developed integrations with the Shipping API's of major courier companies operating in Greece and we can do it with any other. Integrated into your online shop, the system allows automated voucher issuing, and order updates. In this way phone calls by customers regarding the status of their purchase orders are minimized, while the online store's credibility is enhanced. 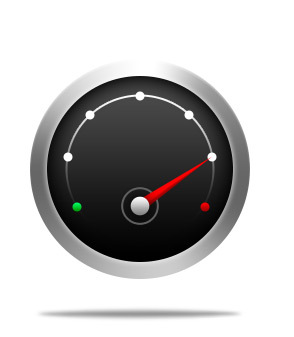 Loading speed is crucial for an ecommerce website. Tests run by ebay, Microsoft and dozens of other online shops showed that for every 100ms delay to load, sales drop by 0.8-1.0%. Moreover, an e-shop's loading speed affects its Google ranking, as well as its Google AdWords costs. To speed up your e-shop, we have developed caching techniques (temporary storage of pages) so that the server sends out your e-shop pages instantly without having to recreate them. One of the main reasons for a website's slow loading is its size and its lack of speed optimization. No matter what kind of website we develop, whether an electronic store or a non-commercial site, our web programming always aims at the best possible loading speed. 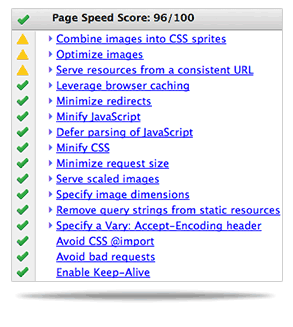 We use techniques like graphics optimization, css sprites and follow any advice that Google Page Speed provides. As soon as your user adds an item to their cart, you want them to be able to fulfill their order quickly and easily, before they change their minds. The purchasing process in your e-shop should be as easy as it gets. Otherwise, your visitor may terminate it any step of the way. At netstudio we are huge believers in easy online shopping. 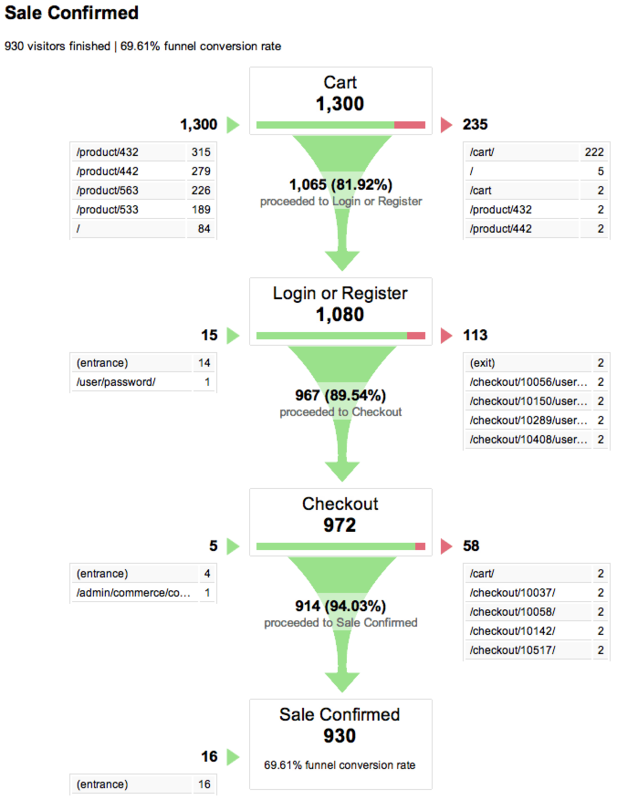 Our customers' One-Page Checkout works wonders. At Checkout every single detail makes a difference. Although each e-shop addresses different consumer needs and behaviors, we set off from a high performance level based on previous experience, and test tweak it along the way to optimize its sales potential. The real job at your e-shop starts after the website is developed. It is then that we need to run tests to check each and every element so as to increase its conversion rate and sales. As Google Analytics & Website Optimizer Certified Partners, we run tests to see what sells and what sells more, and how much more. Check out our blog for some of the tests we have run on our clients' websites. Usability testing is a very powerful tool that can reveal the way your end users see the website we have developed. To conduct usability testing for our clients' sites we have developed the UserFeel platform. UserFeel avails a panel of thousands of multilingual testers. Through their eyes, we can test your online store usability, and optimize it even before it opens for your real users. UserFeel is your way to making your e-shop user-friendlier and profitable, lowering its bounce rate and increasing its conversion rate. Social Media Login allows your users to enter your e-shop without separate registration. They can use their Facebook, Twitter or Google account, to get signed in automatically with 2 clicks. With an option to checkout without creating an account, the user completes the purchase with nothing in their way. The social media login system is a proven conversion rate and sales booster. Connecting your e-shop to Google Analytics and tracking your sales data (revenue, number of orders, products sold), we are able to analyze and optimize your ecommerce per traffic source, campaign, keyword etc. As Google Analytics Certified Partners with experience from dozens of online shops, we can consult and guide you in the right direction towards increasing your e-sales. For the majority of e-shops, only 15-20% of users adding items to the cart complete their purchases. Monitoring the conversion funnel, we are able to spot any stage of the buying process that can take improvement, and optimize it to increase sales. No matter how brilliant your e-shop is, no matter how super-wow your products, if the server hosting your e-commerce website doesn't work non stop like a clock, you are losing customers. At netstudio we host over 500 websites in our private, dedicated servers optimized for the technologies we use. All our servers are monitored 24/7 by our team of experts who step in and solve any problem before you or your customers even notice it. When your e-shop shows up high in search engines, you have customers visiting without cost per click advertising. Receiving your ecommerce website by netstudio, you will find it optimized for search engines. With the SEO mechanisms we have developed, your online store will automatically optimize all content you import (new products, new product categories). This way you will be steadily achieving the best search engine page ranking and keyword positions. Product import from your ERP in the e-shop database. Automatic invoice or receipt data entry into your ERP without manual input of order and customer details. That saves time and minimizes human error. Out team of web developers does not limit itself to ready-made templates and mechanisms. We are experienced and capable enough to design any kind of layout, and develop all sorts of functions and services for your e-shop, so that you can achieve what you have planned for not just close, but 100%. We all work together at netstudio headquarters fulltime. That is to say, you can reach us any time, and ask for support or any fine-tuning needed so that your streamlined e-store may reach its full profitability potential. Go through our case studies and check out some of the e-shops we have developed. Their owners share their experiences at the testimonials page. To find out more about the services we can provide to improve your e-shop's profitability, please contact us.